Did I ever tell you about the time I had a $500 electric bill? That was fun. We were living in an old rental house with little insulation and an old heater. So when we moved to our new house (purchased November 2014) we were over-joyed to lower our bills. However, just because we were living in a more efficient house didn't mean we didn't need to be diligent in order to keep our electric bill low. Today I wanted to offer you some tips and ideas for lowering your electric bill. If you're living in a place where it's super hot it might be tempting to crank that thermostat down to 72. But by keeping it on 78 you will keep your costs down while still keeping warm. In the winter lower your thermostat to 68 degrees. If you have a lot of windows, consider opening the blinds during the day to let in the sun. This will help warm up a large room. We do this at my house. If you have really thin windows and no money to replace them, consider drapes or blackout curtains. We have used these in our boys rooms to keep them warmer at night, also, they keep early morning sun to a minimum. Also, don't leave the door open. Our fridge will beep to remind me to close it because I am the WORST at this. Turn off the drying function on your dishwasher. This can cut time and costs. Plus it takes very little time to dry your dishes by hand when putting them away. Run your dishwasher and dryer at bedtime. I called my power company and learned that off-peak hours were after between 8:30 a.m. - 2:30 p.m. and 9:30 p.m. to 5:30 a.m. It's hard to remember one more thing each month but set a Google alert to remind you to change your AC filter. Our AC repair man told us to use the cheapest filters at Lowe's. He said the pricier ones were actually less effective. 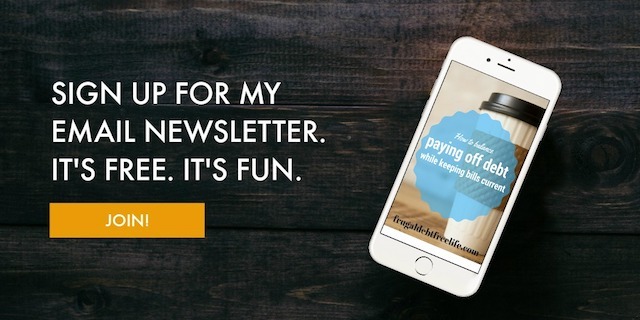 I didn't think this would work until I did it, but we have been able to save money each month simply by unplugging things like the coffee maker and cell phone chargers. How many things are just plugged in at your house that aren't getting used? 20? 30? You would be surprised. Get a power strip to use for your cell phone and lamp and unplug it each day. Do laundry back to back so that your dryer is still warm and doesn't have to heat back up. Our dryer is actually double the capacity of our washer, so I do two load of drying for each load of wash.
Our dryer vents outside. This is great because during the summer months it keeps the house from heating up and our AC having to work overtime to cool it down. What about you? How do you cut energy costs at your house?